While the country remains one of the biggest post-communist success stories, the perception of Poland on the international stage is suffering, says Timothy Garton Ash, Professor of European Studies at the University of Oxford. Richard Stephens, founder & editor of Poland Today, sat down with Mr Garton Ash on one of his recent trips to Warsaw and asked him for his opinions on modern Poland. How do you see Poland’s place in Europe now and in the future, in light of the PiS government’s relatively hostile attitude toward the EU? As someone who has followed Poland for 40 years, I have deep sympathy for the country. I was so delighted to see the very strong position Poland was achieving inside the European Union in the last five to ten years, since about 2007. People were beginning to talk, almost as a matter of fact, of Poland as one of the big six inside the European Union – Germany, France, Britain; then Italy, Spain and Poland. And, in the longer historical perspective, it’s an amazing achievement to be seen as right in heart of Europe – one of the big powers of Europe. I’ve been equally dismayed at how quickly that position has been lost. I’m talking about attitudes: how people see Poland. Obviously, there are realities underneath that don’t change so quickly. There’s the economy and so forth; it’s still a big and important country but it’s the perception. Many Western Europeans have reverted to the old stereotypes, which go back all the way to the Enlightenment, about Eastern Europe as a whole – including Poland – as being this almost chronically backward, undemocratic, anti-liberal and rather chaotic place. The other part of it is that now we have the prospect of President Macron in a new partnership with the next German chancellor. That core Europe will be strengthened and it will be a Europe that doesn’t contain Poland rather than a Europe that does – I think that should be a major worry for everyone in Poland, whatever their politics. How do you assess the performance and goals of the Polish government? Well, I think it’s extremely worrying. Let me say first of all that it’s a good thing to have a change of government because that’s democracy. PiS was the major opposition party – it has a perfect right to govern. What is worrying is that, at a remarkable speed, in a quite ruthless fashion, it is pushing through what I call ‘Orbanisation à la Polonaise’; that is to say, following the example of Viktor Orbán in a kind of salami tactic of slicing away, slice by slice, the essential elements of a liberal democracy. So, I think the constitutional court has been a victim of that, and subsequently the supreme court. Now the independence of other courts is under threat. Alas, the civil service was never really neutral, but it is now even less neutral than it was. Of course, the security services are totally under PiS control and public service media have become the so-called national media. Public service media are very important to a liberal democracy. Through ownership, various other aspects of independent media and civil society are being sliced away and I think that those of us who care about Poland have to speak up. I mean, the real friend is not the person who lets you go on drinking too much and falling apart, but a good friend is someone who says, ‘hey, watch out, you’re on a dangerous course!’ And I think we’re right to speak up about that. Is Jarosław Kaczyński going to listen? First of all, it really is an extraordinary position in the history of politics that someone who isn’t a minister, let alone a prime minister or president, is effectively running the country. Everyone knows that the crucial decisions are made by Jarosław Kaczyński, including the extraordinary debacle about proposing Jacek Saryusz-Wolski instead of Donald Tusk for president of the European Council. I’m not sure the audience is necessarily Jarosław Kaczyński or even the core electorate in PiS, which is quite solid and quite stable. The audience is Polish public opinion and in particular those swing voters who actually gave PiS this great victory in the presidential and parliamentary elections, but are clearly pro-European. They are very concerned. They are patriots who are concerned about Poland’s reputation in the world, in business, what’s happening to the economy and what’s happening to civil society, and what’s going to happen to education. We need to say to them ‘hang on, your voices are needed to moderate these politics’. It’s interesting that after the reappointment of Donald Tusk, PiS came down in the opinion polls. So I think that’s a way to think about it. Needless to say, I don’t belong to, or support, any particular political party in Poland, but in terms of the addressee of what one has to say, I think it’s particularly that part of the Polish public. How do you see Poland’s performance politically, economically, and socially since the fall of communism? If you look back at the early 1990s, what people forget is that no one had any idea how you could transform a planned economy in a communist party state into something like a free market economy and a liberal democracy. The joke at the time was: ‘We know you can turn an aquarium into fish soup, but how do you turn fish soup back into an aquarium?’ And the fact is, if you look at Poland over the last quarter century plus, it’s made a pretty good stab turning fish soup into an aquarium. So, it’s been a spectacular success – it’s one of the success stories of our time. Why put all of that at risk? Well, part of the answer is because there are a lot of people who felt left out, marginalized, and left behind by the changes. I think that in a broader sense, as a liberal European, one has to acknowledge the inequality. Yet, actually the Gini coefficient in Poland is relatively low among Western democracies and is not getting much larger. Economically, if there is an inequality, it’s a more subtle inequality – an inequality of status, attention and respect. I think the vote for PiS was as much about the more subtle kinds of inequality, voters were saying ‘we exist too – we’re still here, listen to us, pay attention to us’, as it was about the simply economic inequality. Do you see further infringement of press freedom in Poland? I do. My latest book is on free speech and so I’ve been thinking about this a lot. Compare the reaction to Donald Trump in the United States where the fourth estate – the media – have been absolutely central to the pushback, the checks and balances. The founding fathers knew what they were doing when they wrote the first amendment. Compare and contrast the relatively weak response from the media as a whole in Poland. I say ‘relatively’, because there has been a pushback. One major threat is obviously the takeover of the public service media which is very worrying because, in the internet age, you have this fragmentation of the media where people are often in their own echo chamber. Public service media that maintain the public square, like the BBC, are important. We have watched TVP from home in Oxford until we can’t stand it any more and turn over to TVN. The way in which, almost overnight, all the faces changed, the language changed, the tone changed, was spectacular. But there’s also something which is relatively novel – and this has to do with a capitalist economy – which is that populists control the media as much by commercial economic pressure on the owners of media, by withdrawing state advertising, than by direct – as it were – ‘political pressure’ from the state. One sees that attempt being made in Poland. The third element is this: in the first amendment tradition of the United States, the reporter – not just the commentator – the reporter, is a really important and honoured figure. They are often graduates of the best universities, who even in late middle-age, say with pride ‘I am a reporter.’ The journalist is a hero. You think of Woodward and Bernstein. In Poland there isn’t that tradition. Professors are respected – historians, writers, poets, artists, composers are respected – but the journalist as a hero is not a typical Polish figure. So the commercial pressure, mixed with the cultural context, make one worry about the strength of the fourth estate in Poland. How do you see the position of Poles in the UK, in light of Brexit? I think we talk far too little about the amazing phenomenon of Polish migration, especially to Britain. This is the biggest social fact between Britain and Poland in our history. Bigger than Yalta. Bigger than fighting together in the Second World War. It’s a huge social fact that something like close to one million Poles now live in Britain, many of them for the long-run. And it’s by no means only the Polish builder – it’s the Polish engineer, the Polish company director, the Polish banker. I have brilliant Polish students at Oxford who then go off and have great jobs, and I really think it’s a shame that neither country knows what to make of this major social fact. In essence, the Polish government would like to say ‘come back here’ – in fact, they say that explicitly. And in Britain, if your goal is to reduce net migration, and Poland and Eastern European countries are a big part of the immigration, then they’re not inclined to celebrate it. So, neither side is ready to make something of it. It’s a lasting, permanent feature of our shared history and I really think we should think about it positively. What can we make of it? We are fellow Europeans. Whether Britain leaves the EU or not, we’re still in Europe and we will still have these fellow Polish residents – and many are citizens now or soon will be. We should make something positive of it. Post Brexit, there’s been some concern about rising xenophobia, including towards Poles and other Eastern Europeans. But given that in total it is something in the order of 2.2 million Eastern Europeans who have come to Britain since 2004 – that’s an amazing number, even for a country of 60 million and, given the difficult times we’re in, the integration has been fantastic. That’s an achievement of the Poles, who are hardworking, courteous, polite, and well-behaved. But one has to say it’s also an achievement of British society. 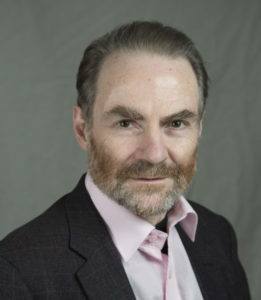 Timothy Garton Ash is arguably the foremost expert on modern Poland. He is Professor of European Studies at the University of Oxford and a Senior Fellow at the Hoover Institution, Stanford University, and has written several books on Poland and the CEE region, including The Polish Revolution: Solidarity (1983); The Uses of Adversity: Essays on the Fate of Central Europe (1989); We the People: The Revolution of ’89 witnessed in Warsaw, Budapest, Berlin and Prague (1990; US Edition: The Magic Lantern), which was translated into fifteen languages; In Europe’s Name: Germany and the Divided Continent (1993), named Political Book of the Year in Germany; The File: A Personal History (1997), which has so far appeared in sixteen languages; History of the Present: Essays, Sketches and Despatches from Europe in the 1990s (2000); Free World (2004); and Facts are Subversive: Political Writing from a Decade without a Name (2009). His latest book, Free Speech: Ten Principles for a Connected World was published mid-May 2017 and will appear in Polish in 2018. 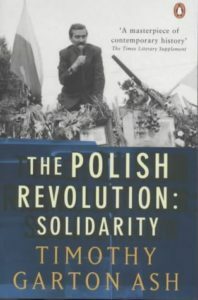 The Polish Revolution: Solidarity (1983) is one of Garton Ash’s most notable works. Offering a gripping recollection of the emergence of Lech Wałęsa and the ensuing tumult that culminated in martial law, the book has been critically praised internationally for its illuminating and definitive account of events.